You are invited to our next "Healing The Brokenhearted Service." Come and experience the Father's love, by understanding how to remove the things that hinder you from experiencing His presence. You will have the opportunity to form world overcoming faith so you can receive your healing, victory, and freedom. In reality there's not a person on this earth that hasn't suffered from a broken heart. Most in the body of Christ have no idea what it means to have a broken heart. And yet, our hearts are where we need the healing presence of the Father and His Word the most. Many of us have been wounded in our heart for so long that we have formed strongholds (walls of thoughts that exalt themselves against the knowledge of Christ). These walls of false beliefs keep us in prison, separating us from experiencing the life and love of God. Come and experience the powerful, loving ministry of Pastor Rory and Amelia Synoground. 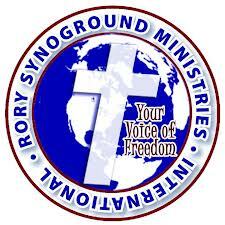 Pastor Rory ministers the Word of God with a healing anointing that will impact your life for ever.